Logic: The Art of Defining and Reasoning (Prentice Hall, 1963) by John A. Oesterle is the introduction to Aristotelian logic (read: the system of logic that ruled the West for two millennia) for those who would rather not plow through Aristotle. 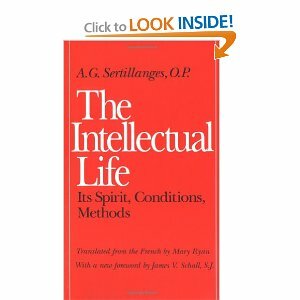 Or, better, for those who would like a summary and workbook on hand as they grapple with the Philosopher himself. The list price for this not-very-large book is astonishing to me – $60 for a cheaply bound facsimile of a book published in 1963 (and originally published more than a decade before that), but since the copyright was renewed in 1980, it’s not in the public domain, and Prentice Hall can charge whatever it wants. Used copies of the various editions are usually available, and sometimes, with searching, one can even run across a copy for less than $20. If you ever see one, grab it! This entry was posted in Beyond NovAntiqua: Books, Heidi L. Keiser on 20 January 2011 by NovAntiqua. The more precious an idea is, the less it matters where it comes from. Train yourself to indifference about sources. Truth alone has a claim, and it has that claim wherever it appears. As we must not swear allegiance to anyone, so still less must we disdain anyone; and if it is not expedient to believe everybody neither must we refuse to believe anyone who can show his credentials. But carried too far, silence in its turn has a disturbing effect; when all a man’s powers are intensely concentrated on his thinking, he easily loses his balance, his vision of the way; a diversion is indispensable to the life of the brain; we need the soothing effect of action. Choose your books. Do not trust interested advertising and catchy titles. Have devoted and expert advisors. Go straight to the fountainhead to satisfy your thirst. Associate only with first-rate thinkers. What is not always possible in personal relations is easy, and we must take advantage of it, in our reading. Admire wholeheartedly what deserves it, but do not lavish your admiration. Turn away from badly written books, which are probably poor in thought also. This entry was posted in Beyond NovAntiqua: Books, Heidi L. Keiser on 14 January 2011 by NovAntiqua. You may have noticed that we are now incorporating a section titled “Beyond NovAntiqua” in the sidebar of this site. In this section, you’ll find links to non-NovAntiqua titles that we think (based, in part, on the search terms that bring people to this site) our readers would appreciate. The space in the sidebar being limited, though, we wanted to provide a bit more of an introduction to the titles we have listed right now. One-Volume Latin Summa Theologiae – A number of people have ended up at this site having done a search not for NovAntiqua‘s Volume One of a Latin-English edition of the Summa (let alone the newly-released Volume Four), but for a one-volume Latin edition of the Summa. The only one-volume Latin Summa that we are aware of is this one, published by San Paolo Edizioni (1999). It is the Latin of the Leonine edition, with critical apparatus. It’s a hefty book, but smaller than many editions of Shakespeare’s complete works or most unabridged dictionaries. You won’t find it on Amazon.com or in any American bookstore, but after some digging, we were able to find it being sold by Amazon.it and Deastore via AbeBooks.com – probably your best bet short of going to Italy yourself. If you do find yourself in Rome and want to pick up a copy, stop in the Libreria Internazionale San Paolo (right up the street from St. Peter’s). Assuming things haven’t changed much in the last few years, it’ll be on the second floor of the bookstore along with other works of Aquinas in Latin – right next to the section of books in French. If they’re out of stock, try Ancora (also on Via della Conciliazione) or Libreria Leonina. Buy your copy, go to Mass at St. Peter’s, and then celebrate with a 2-euro cone of gelato from Old Bridge – crema, cioccolata, and nutella, with panna – have one for me, please. Thank you. 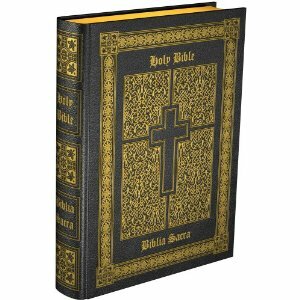 A Lexicon of Saint Thomas Aquinas, byRoy J. Defarrari – This 1,200-page tome contains every Latin word found in the Summa Theologiae, as well as terms found in other works of Aquinas. In the words of the author’s foreword: “Each word as it appears will be followed by the different English meanings with which it is used, followed in turn by some illustrations of its use in each meaning taken from the works of Saint Thomas.” A goldmine for those interested in acquainting themselves with the Latin of St. Thomas. 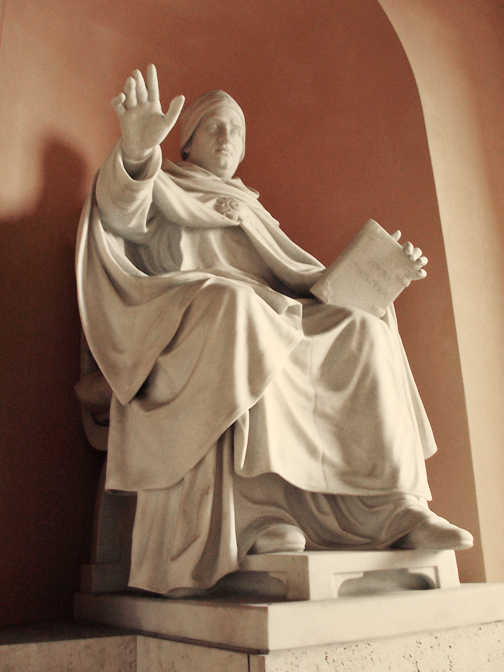 We are also featuring Jean-Pierre Torrell’s incomparable two-volume introduction to St. Thomas Aquinas: Saint Thomas Aquinas: The Person And His Work and Saint Thomas Aquinas: Spiritual Master. These are not light reading, but if you want to have a better understanding of the man behind the works, these are the books to go to. Those interested in Latin-English resources and Gregorian Chant might find Fr. 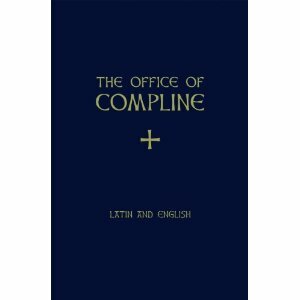 Samuel Weber, O.S.B.’s new Office of Compline worth a look. Chant settings for the night prayers from the Roman Catholic Liturgy of the Hours (novus ordo) are arranged with Latin and English settings on facing pages. The book contains complete instructions for praying Compline, as well as a foreword by Cardinal Burke. Keep an eye on the sidebar; I’m sure we’ll be adding titles from time to time. If you know of a title worth recommending to students of St. Thomas or readers of NovAntiqua in general, let us know in a comment or drop us an e-mail (mail[at]novantiqua.com), and we’ll check it out. Also note that if you do decide to purchase any of these titles through the links provided here at NovAntiqua.com, we do receive part of the proceeds from the sales. Thank you! This entry was posted in Beyond NovAntiqua: Books, Heidi L. Keiser on 24 April 2009 by NovAntiqua.